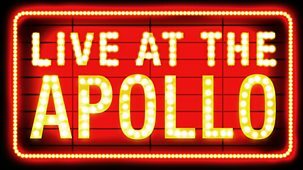 At the forefront of its genre, the roll call of stand-ups who have performed in front of the famous Live at the Apollo lights plays out like a who's who of comedic royalty, and this series is no different. 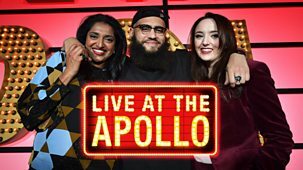 Each episode sees a national (and sometimes international) stand-up both compering and performing, before introducing two of the best established and up-coming stand-ups to the stage.\n\nIrish comedy star Ed Byrne hosts this episode, introducing the fantastic Angela Barnes and the wonderful Geoff Norcott to the world-famous Apollo stage.\n\nOther acts to appear throughout the series include Henning Wehn, Katherine Ryan, Rob Beckett, Joel Dommett, Jen Brister, Darren Harriott, Dane Baptiste, Desiree Burch, David O'Doherty, Luisa Omielan, Sara Pascoe, Nish Kumar, Lucy Porter, Guz Khan, Chris McCausland, Gary Delaney, Marlon Davis, John Robbins and Larry Dean. 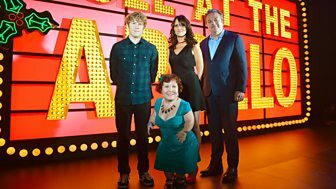 Hal Cruttenden welcomes stand-up comics Justin Moorhouse and Tom Stade to the Hammersmith Apollo. 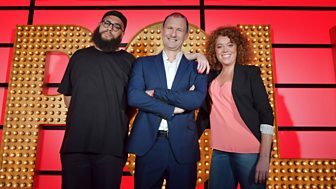 Stand-up comedy from the world-famous venue. 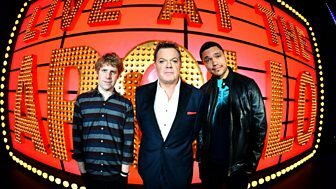 Comedy legend Eddie Izzard introduces South Africa's Trevor Noah and Devon's favourite son Josh Widdicombe. 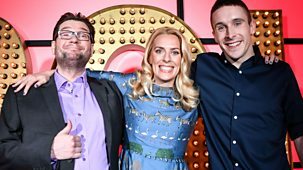 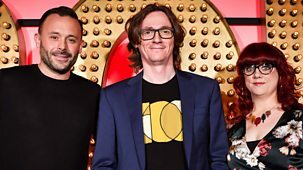 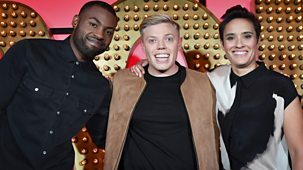 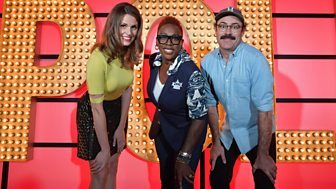 Chatty Man Alan Carr introduces, in his own inimitable style, sets from the fabulous Andi Osho and the always magnificent Patrick Kielty. 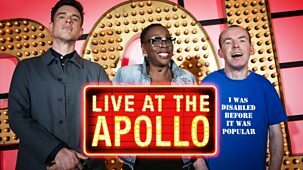 Stand-up comedy from the Hammersmith Apollo. 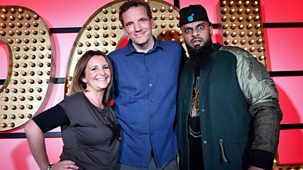 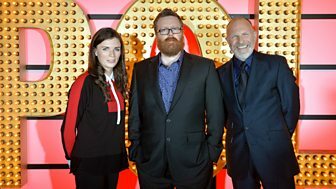 The sometimes controversial Frankie Boyle introduces sets from Simon Evans and Aisling Bea. 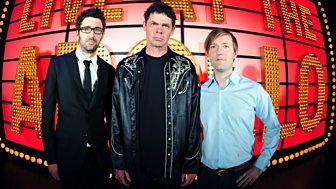 Stand Up for the Week star Rich Hall hosts stand-up comedy from the Hammersmith Apollo, with the brilliant Mark Watson and the irrepressible Andrew Maxwell. 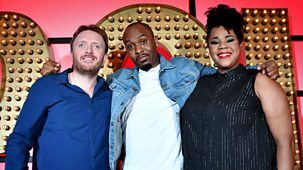 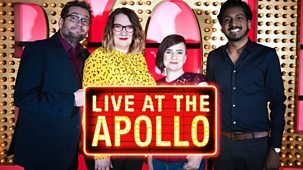 Mock the Week star Andy Parsons hosts stand-up comedy from the Apollo, with special guests including the fantastic Andrew Lawrence, and one-liner king Milton Jones.